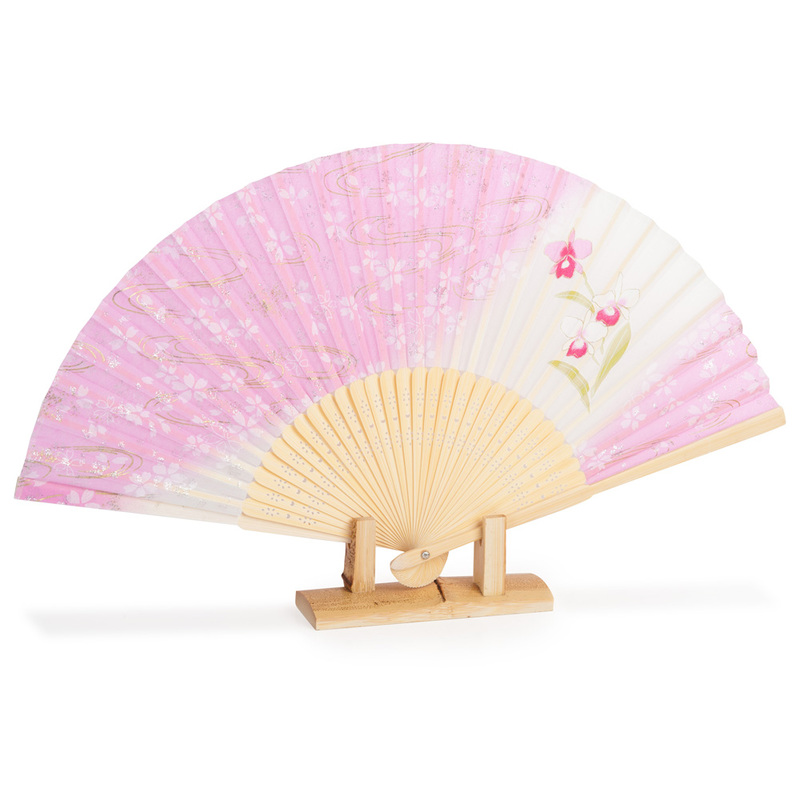 The Pink Cherry Blossom Japanese Folding Fan is a stylish oriental fan crafted from silk and bamboo with a very pretty pink floral design and gold detail. It opens and closes in the traditional way, so is perfect for keeping you cool in hot weather and folds away neatly to store in a handbag. 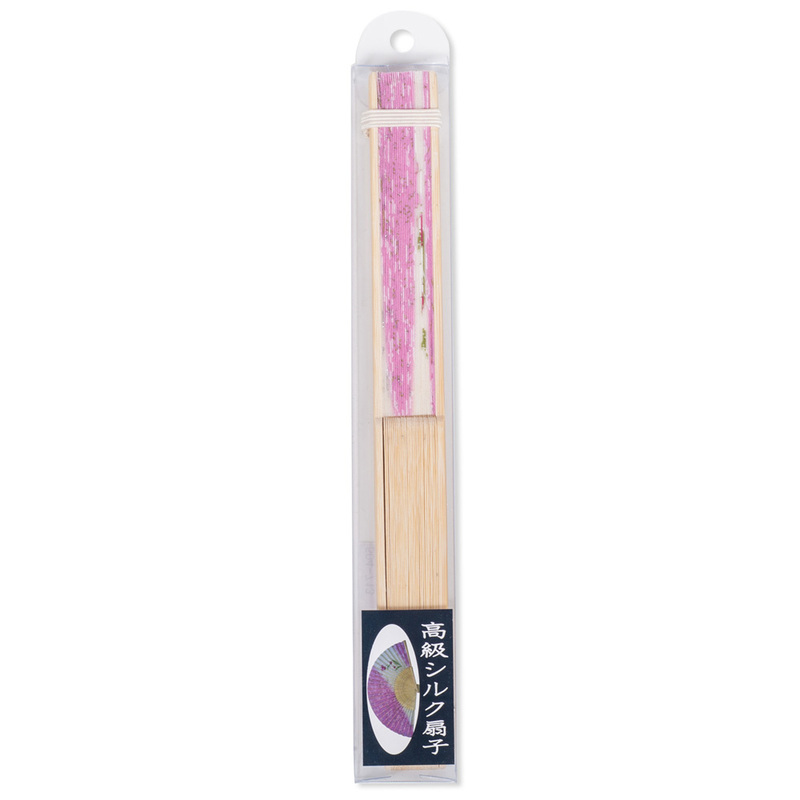 The Pink Cherry Blossom Japanese Folding Fan is an ideal and affordable traditional Japanese gift. We also recommend that you consider a Fan Stand or Wall Mount to display your fan more attractively! 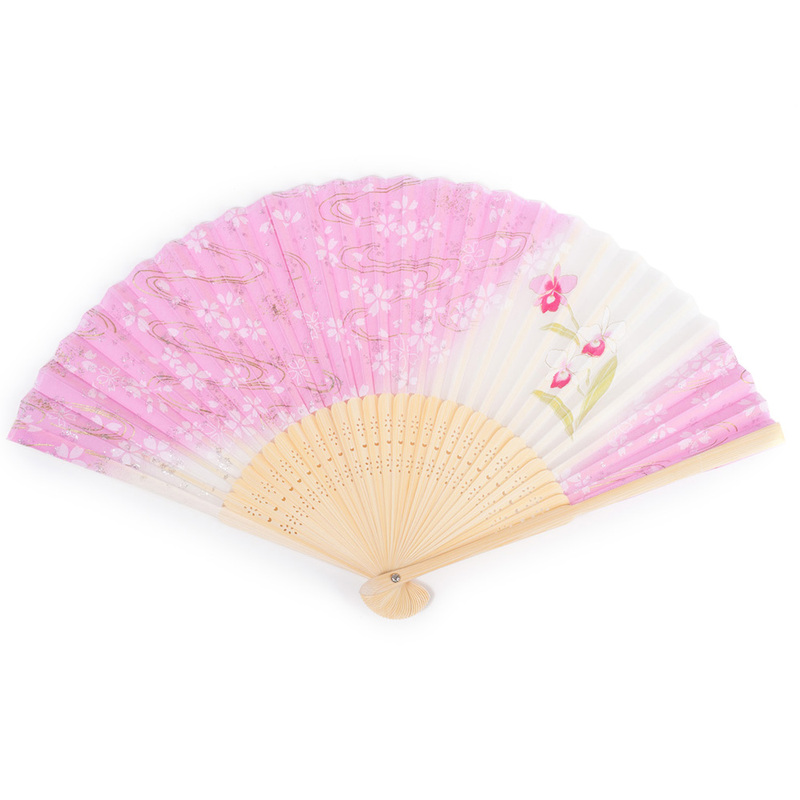 Buy your Pink Cherry Blossom Japanese Folding Fan online and have it gift wrapped free of charge or visit us at our showroom for this and many more stylish Japanese folding fans! Dear Jez I received my parcel before 11am and am very happy with the contents. My family also like the fans (including Pink Cherry Blossom Japanese Folding Fan) and kokeshi dolls that I ordered. The quality of everything is excellent. Hi Jez, The package (including Pink Cherry Blossom Japanese Folding Fan) arrived today! The kokeshi dolls are gorgeous. They'll make perfect Christmas gifts. Thank you for the great customer service. Kindest regards. Thank you very much for your help and great service, I received the beautiful fan this morning!